We volunteered to promote this remembrance in our area. 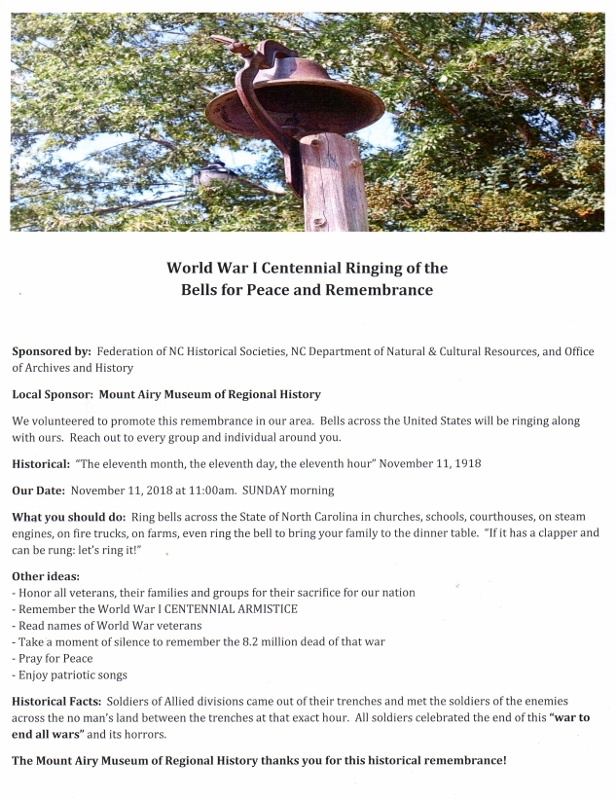 Bells across the United States will be ringing along with ours. Reach out to every group and individual around you. Historical Facts: Soldiers of Allied divisions came out of their trenches and met the soldiers of the enemies across the no man’s land between the trenches at that exact hour. All soldiers celebrated the end of this “war to end all wars” and its horrors. The Mount Airy Museum of Regional History thanks you for this historical remembrance!